GeoServer supports GeoRSS as an output format allowing you to serve features as an RSS feed. GeoServer uses freemarker templates to customize the returned GeoRSS feed. 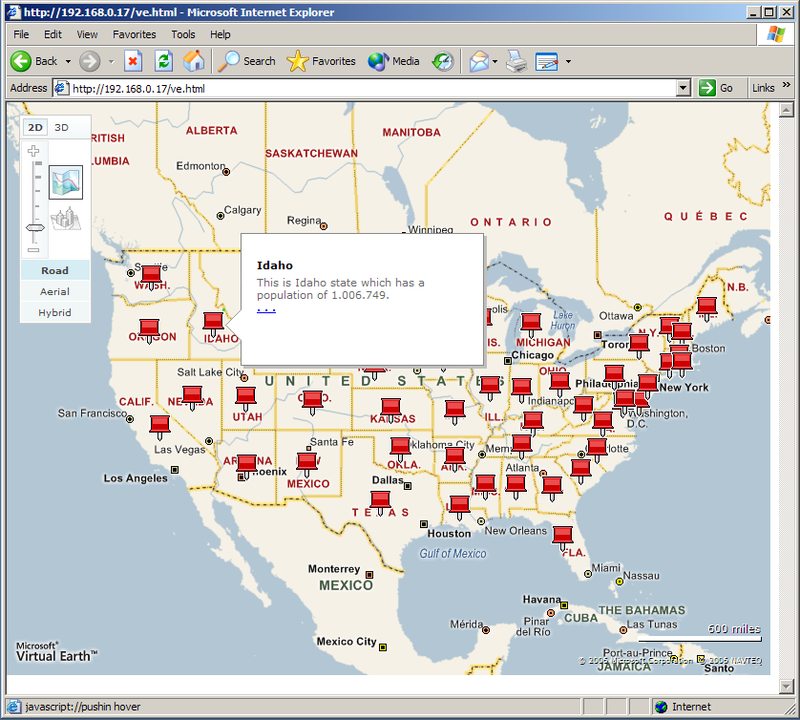 If you are not familiar with freemarker templates you may wish to read the Freemarker Templates tutorial, and the KML Placemark Templates page, which has simple examples. Each of these files may be used to customize the assocated field in the GeoRSS feed. For Ajax map mashups to work, the GeoServer instance must be visible to the Internet (i.e. using the address localhost will not work). How to create a Google Maps mashup with a GeoRSS overlay produced by GeoServer. Obtain a Google Maps API Key from Google. Visit gmaps.html in your web browser. How to create a Yahoo! Maps mashup with a GeoRSS overlay produced by GeoServer. Obtain a <Yahoo Maps Application ID <http://search.yahooapis.com/webservices/register_application>`_ from Yahoo. Visit ymaps.html in your web browser. Non Internet Explorer Users*: GeoRSS overlays are only supported in Internet Explorer, versions greater then 5.5. How to create a Microsoft Virtual Earth mashup with a GeoRSS overlay produced by GeoServer. To access a GeoRSS feed from Microsoft Virtual Earth the file (ve.html) must be accessed from a Web Server, IE. It will not work if run from local disk.